Gone but not forgotten in the minds of true watch fans, today I’d like to briefly revisit the horological genius that was Dominique Loiseau (1949-2013). At Baselworld 2011, the talented master watchmaker behind Blancpain’s famed 1735 – the most complicated wristwatch in the world at its debut in 1991 – launched a grande complication watch bearing his own name. Though it is a grande complication in the classic sense, it was in no way orthodox in design, and the name of the watch was even less so:1f4. Loiseau was a keen chess player and named his first work of horological art after the famous chess opening coined by Henry Edward Bird; Loiseau (“l’oiseau“) is incidentally the French word for bird. The cryptically named timepiece was the world’s first wristwatch featuring a dual automatic winding grande sonnerie with instant dial reversibility (meaning it can be worn with either side showing). Its compendium of complications included 32 functions, instant and invisible (patented) dial reversibility, and a double rotor to provide all the automatic energy needed for this miniature marvel. Despite having nearly 1,000 components, the case remained relatively svelte at only 45.2 mm in diameter and 16.64 mm in height. Entirely manufactured in Switzerland, the first timepiece bearing Loiseau’s name needed six full years (15,000 hours) of research and development before the master with the sonorous voice and golden hands was satisfied. Only two pieces in solid platinum or yellow, red, or white gold were planned to be handmade each year. Loiseau was very intent upon having consumers understand what traditional manufacturing really meant to him and how this differed from others’ output, even that of other independent watchmakers. Loiseau underscored that the timepieces manufactured in his workshop just outside of Lausanne were all truly manufactured by hand using traditional processes and techniques, but with modern tools that allow much higher precision. His approach and this masterful timepiece were widely recognized over the course of 2011 and into 2012 as demonstrated by the collaboration with Girard-Perregaux that was revealed in January 2012 at SIHH – though this never came to pass due to Loiseau’s death at the age of 64. While Daniel Montandon may be known to a horological industry insiders as a distributor of high-end watch brands, his first career as a successful naval architect went hand in hand with his continuing passion: yacht racing. However, watches have also long been part of his life: his great-grandfather founded Eberhard & Cie., and he grew up with his grandfather owning and running the company. Montandon met Loiseau in 2010 when he was looking for a master watchmaker for a project of his own and he ended up partnering with Loiseau in the 1f4 project. 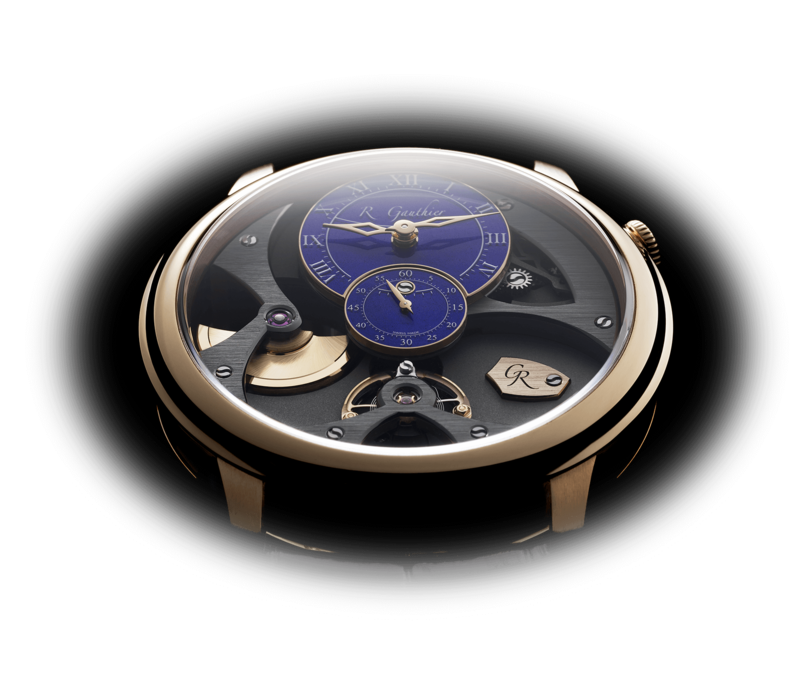 At the same time that the Dominique Loiseau 1f4 was being assembled, the duo was also preparing the launch of Montandon’s own sporty haute horlogerie brand inspired by Montandon’s passion for yachting. “When I first met Dominique, he showed interest in my project and in turn showed me a 1f4 pre-prototype concept,” Montandon remembers today. It was Montandon’s idea for Loiseau to market his masterpiece under his own name, and he also helped design the look of the complicated watch. Montandon’s own brand finally launched during Baselworld 2017 with independent watchmaker David Candaux behind the movement; stay tuned for the complete story on that soon.